First, visit the Publishers Clearing House’s main website at www.pch.com. Here, you can sign up for entry forms for their multi-million sweepstakes. In addition, this site allows you to learn more information about their customer service, magazine subscriptions, and scams that are circulating so that you can avoid them. Consider playing PCHGames (pchgames.com). These games allow you to relax and have fun playing free online games; however, the best news is that these games allow you opportunities to win prizes. Whenever you play games like Video Poker and Spider Solitaire, you earn tokens, which can be traded for entering into sweepstakes to earn prizes. 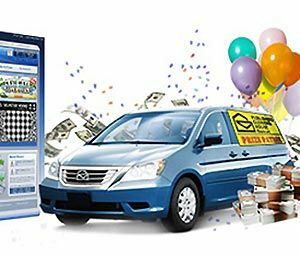 You can further increase your odds of winning prizes by searching the Internet through pchsearch.com, which is owned by Publishers Clearing House. Simply make a search through the search bar on pchsearch.com (PCH Search&Win), and you have the opportunity to win prizes. Try PCHLotto (pchlotto.com), which is similar to playing the actual lottery but you do not have to pay! All you have to do is simply pick numbers, and in between, you will see ads. This is how PCH Lotto makes money. Once you have picked numbers for five different cards, you will have the chance to win instantly with a scratch-off game. 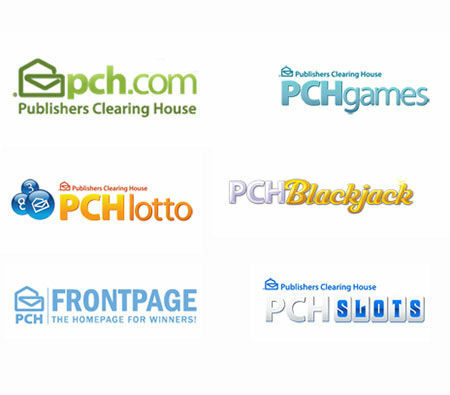 You now know of several great ways to increase your chances of winning through Publishers Clearing House. PCH has given away over $220 million in prizes since it opened in 1967. You could be the next winner! How to win prizes with Publishers Clearing House. Good luck! Hello i would like to finally win the 5,000.00 dollars a week for life an it will help change my life an i”m in it to win it an i Want to win so i can get my credit cleared so i can work on getting our own home so we can move in hope fully before Christmas.gwy.4900. I am no longer receiving daily emails from you you is there a reason why? It would be a blessing to be a pch winner. John Wright. You said contact you, but there is no way to do that since emails are not published. Could you post again (if you’re serious that is) and leave a way where we actually could contact you? I became a widow last year (husband had little life insurance as he was Type I diabetic and couldn’t get it), have single mom daughter with a little one and another on the way with father who doesn’t support them. Just lost my beloved mom. Cannot find a full time job (try to when you’re almost 60–age discrimination is real) so struggling by on two part time jobs where we have no work (and no pay as part timers get NO paid time off) for about 10 weeks a year when school is not in session. Just struggle day to day and pray. Hoping to know them if there is a secret to winning. I don’t understand you someone wins by just conducting a search, but I’m doing it anyway. I know everyone has a story But Mine is up there an Would love to Tell you But not on here. If i won the 10,000 a week for life it Would not only be Heart warming But help someone truly in need an make pch honored to present to such a cause. If you Would like tohear you know how to contact me. Thank you. This would be a help for my wife and I medically as we live our retirement life…. This would be great , helping my wife and I to life and pay medical bills in our retire days….. we could help others also…. Thank you for all your help.I have faith and GOD WILLING I WILL BECOME PCH” BIG CHECK WINNER”! I have lost my mom in june and my kids and I have lost our apartment do to a fire in july I would like to win for I have a place to call ours once again. This win would bless my family & all of my people who depend on me. Being a caregiver leaves very little time to enjoy my grandchildren. I need a rest with this opportunity to win a million or $1,000.00 a day or any superprize amount! My primary goal is to build handicap assessible homes for disabled seniors, who need a better (quality) lifestyle. I was hoping to be the winner in august. But I will not give up please show up at my door in November. Or any time October 9th would be great. I am ready for that large sum of winning each week for life! I sit in appreciation for the win. Thank you. I’m retired hope to win the winning would make my spouse and my life much easier. I suffer with fibromyalgia and am waiting on disability determination. I think that these PCH sweepstakes are rigged. I have been entering daily since 1988 and have never won anything. Once again the $5.000 a week for life is not being awarded because no one returned winning # I don’t believe it out of a billion entries no winner! This is a total scam in my opinion. Everyone has struggles that this money could relieve. I am a single mom of 4, struggling to raise them while attending school to try and make a better life for them. We live in an unsafe neighborhood and they have been through many struggles in their short lives. However, there is always someone out there that has been through worse than us. While I would love to win and be able to take care of my family and give my children, nieces and nephews the opportunities we never had; I just pray that whoever wins, even if it’s not me, is someone who is truly in need. God Bless and good luck everyone. I would love to win the 5,000.000 a month for life on Aug. 28th, 2014. My life would change dramatically. Oh, PCH, I hope you come to my apartment. Thanks!! BarbaraT. I was born in 1967 that makes pch the same age as me. Pch I would be able to help my family and others in need including animal shelters and homeless folks, Churches etc. Once I pay my debts off. I HOPE this is my lucky chance to WIN BIG from PCH. GOOD LUCK TO ALL. I was reading other replys and Jennifer said in her reply “she wants to win the pig prize”, well as for me “VERONICA WANTS THE BIG PCH PRIZE”. I wish all Good luck I never win anything but maybe someday it would be sweet. My precious 3 kids would be finally able to get things they really need. Thanks for this opportunity PCH. May GOD BLESS US ALL IF WE WIN OR LOSE. I truly hope that I will be the “Forever” prize winner on August 28th!. Winning this wonderful prize would mean so much to me and my family!!! Is A Bit Much~ It Triggers Chronic Migraines. Non Profits and Folks We Know Who Are In Dyer Need Will Especially Be Taken Care Of. Never In My Life Lived Above Our Means~ Loosing Jobs & Finding One At A 3rd Of What You Use To Make Is Difficult. When You Have The Same Responsibilities, Bills Etc. Thank You For Being Patient While I Paid For My Products I Ordered From PCH. And I Can be the next winner on August 28th and I’ll win that 5,000,00 a week forever.and than. I’LL BE ABLE TO TAKE GOOD CARE OF MY FAMILY AND MOVE TO A BETTER PLACE AND PAY OFF ALL OF MY BILL,S.. Entering anything, basically where to begin. login in to PCH just for the hell of it. Everywhere. I laughed and said where do I begin. N so I did in 2010 n still going strong. I do believe in miracles,I wanna Win PCH GWY no. 3080! ALOHA. YOURS TRULY, FRANCES. I want to win this it would make all my dreams come true. I could pay all my bills off and do the things I always wanted to do with my kids but couldn’t because I was a single mom working two jobs to just pay the bills. And never haveing any exta to do fun things it would be grate to take my kids on vacation for the first time i there life’s and have the money to do it and not just go camping for ones because that’s all we had money for years. I would have the money to buy me a car so I don’t have to walk and worry about not buying to much I can’t pack home. So yes this would be a blessing for the Marple family. I won’t to win Augest 28th PCH. God please give me this gift in my life. 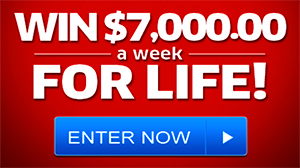 Really would love to win $5000.a week for life. Recently retired and I would love to travel, do some home improvements and pay off debt, help family and friends and live a great life with no worry about money. Hey Publishers Clearing House I’ve mentioned to you before that being on low income that I can’t purchase anything so why do you tell me I’m on a list and to respond to it I’ll get a prize when we both know I won’t? So why should I believe it now? Look at all the people listed here! You always let me down! I need to win. I’m out of work. Lost my house.Lost my car. Need to win all I have is a phone with WiFi. With the Blood of Jesus, I would love to win. Living from paycheck once a month on Soc. Sec. just don’t make ends meet. With this Blessing my grand children will not be hungry or eating cereal for dinner. I know and understand their are a lot of people in the same situation as we are. Just wishing on a Star. Thank you so much for keeping me playing. I would love to win. My family has dwindled down. to just my my two kids and my grand children, we have not had it easy. I have one in college, by God’s grace and mercy. One we keep in prayer. I would like to have a mentor program that is meaningful to our kids in De. and not so polictical. I would allso like to help my other four grandchildren with school. To be able to win this PCH Giveaway would mean so much to me and my family and be able to have a life and not have to worry about how to pay all of ours bills and buy food for our table. Think you for listening to me. Publishers Clearing House Giveaway 3080 sounds great. There are a lot of reasons for wanting to play, research, or even order great items or magazines. How about I like Publishers Clearing House. I would love to win. It will make my missionary work go further. The past few years I have been entering Publishers Clearing House Giveaway and I have not won yet. But one thing for sure I will never give up on Publishers Clearing House one day I will win. HURRY TO WWW. PCH AND ENTER YOUR CLAIM TO $5,000 EVERY WEEK FOREVER AS OFTEN AS YOU ENTER ON PCH.COM FOR THE SUPERPRIZE EPIC FOR JUNE 30TH 2014. I have read several of the comments on this page. It is sad to read them. Some want to give to others. (sure) Others have hard luck stories,(don’t we all). And most can use the money. WE ALL CAN USE THE MONEY. Pray??? Just play to win. If you lose just keep trying, that is what life is all about anyway. Just keep on trying. May all of you have a better day. I have been entering since I was a new bride…38 years and8 kids later, I am a widow…2 kids under 18 left at home..my husband left us penniless…and I am still entering…but to tell the truth, I don’t believe anyone really wins. The “winners” you see on TV,seem to all have comfortable homes…doing well.if this is for real, seems only those who don;t need it win. It would be great to not have to worry about a roof over our heads, food on the table, and not work until I drop. It’s not real. Hope the day is good. Yes it would be a great feeling to win it all on June 30th. That way I can repay everyone back whom has helped me in my time and need. Especially my church whom has helped me out a great deal. I would love to return the favor. And God works in many ways. He sure duz. God Bless. Have a wonderful day Pch staff. I feel it is my time to do what I have been call to do, and PCH are my Angels bringing me what I need to do what I have been called to do by God, and that is move forward in my healing ministry, This is the gift God blessed me with I can help many more people with the funds that PCH is bringing to me on June 30, 2014, Thank You!!!!!!!!!!!! and GOD BLESS YOU PCH!!!!!! May it be God’s will for me 2 win! If I win the wi it all sweepstakes I’d buy some health insurance and have my medical problems addressed. I would have a decent way 2 travel 2 the doctor as well. The rest I would b able 2 pay off bills and live comfortably. I would have something 2 leave 2 my children and grandchildren when I die. Yes PCH how cash I Win More Prize’s??? You can count me IN!!!! Thnx Pauline…..
dear sir, im claiming several prizes from you today. im asking for activation codes for the $5,000 to life at 10 entries at SKC****** codes activation and processing today. thank you, thank you, happy Sunday and write soon with cashiers checks and Superprizes. Everyone deserves to win, in God we trust, the day will come soon!!! I been playing pch games for over two years, and i have never won anything it would be nice to get a knock on the dood from pch to win any prize. The winning would be a life changer. I will still continue to play the game. I am consruction worker my wife had a heart attack at the age of 34. She is still having problems with it. she is trying her with 4 children at home by herself. The last time I left I was gone for 3 months. But I have to work to do the best for them. I worry a but her and the kids while I am gone. Also with the job I have there is no work for holidays or benefits but it is work. I cannot stop working no matter what. I don’t know about my children future. I have to leave that to GOD. But he see to that my wife pacemaker. There is few people to help her while I am gone. My mother at 69 is trying to rise a child that not hers but was just left at hospital as a baby the child is 12 and only has half a brain. it be nice if could help her out. I have been raising my grandchildren. They have been through a lot in the past 2 years. They miss there mom. If I were to win , I would get her the help she needed so that she could be back in there life. dear sir, im claiming several prizes from you today. im asking for activation codes for the $5,000 to life at 10 entries at SKC****** codes activation and processing today. thank you, thank you, happy Sunday and write soon with cashiers checks and Superprizes. thanks, Iris Campbell. I am still having problems getting on some of the PCh sites .I will be on a site and the next thing the site is not working. I want to thank you for helping me with this problem. Have a Blessed evening. I need this money I tried filling for ss but they keep giving me the run around. My son that is in 6th grade is taking a college course over the summer by Duke Tip. So now I’m doing a fundraiser to try and get him there. Thank you for your time. Hope to win PCH LOTTO GAMES. I am really looking forward to winning on April. 30 ,2014. I have worked very hard to put the dream together. So good luck to everyone & me!!!!! I really don’t know what to say,It sounds that we our all in the same place that we would like to help our love ones. I wish all of us good luck. I pray that I win! Because their are so many people in my life that I would help, my family, friends and my church. I see so much pain in the life’s of people I love and care about. So to win this would be a gift from God that I would share with all that was in need no matter what it is..so I pray for that I win for not only my self but for others.. Thank you for giving me the opportunity to enter.. GOD BLESS YOU ALL!! I need to win so i can help my mom because my dad just died on the 29th of december. It sure would really be nice to win the rainy green big check. it would be nice for christmas shopping. you see, we had lost our home to a fire last year and we need to start all over again to a brand new fresh start. it is not very easy starting over again and not being able to have what we had. we have not even had a christmas like we should. we have no more family to help us celebrate it. we only have just our friends, so we concider them our family even though they are not blood related. happy holidays everyone. have a great one. thankyou for your time and patience. I would love to win. I am anxious to hear the results as I have a wonferful feeling that I will win a superprize. I am 73. I have been playing, off and on, since 1967…. way before the Internet. I have never won anything. I have bought a lot of their products. I cannot afford to buy anything now. I like a lot they have to offer, but I have to eat and pay rent. If I do win, it will certainly help me enjoy the rest of my life, and I can do work for GOD in the process by helping the less fortunate with their life. GOD bless and MERRY CHRISTMAS to all. I submit a lot of sweepstakes and never win anything. The search to win is hard to play. But I will keep on trying . I’m in need to win something. I love playing the games. Well we are with in the last month and the next week or so i will be very busy because i am a nurse and i was asked by a very nice family i know in Florida if i would go and help out the elderly parents. The elderly lady has Alzheimer’s and the elderly husband can not care for her. So i have to leave and help them out. I have known them for years and they are a very sweet couple. I feel so badly for them because there grand-daughter who is also a nurse has been in the hospital with bad migraines and the doctors found out that she had to much water on the brain. She is in In. and with the issues that the elderly couple are going through i told them i will be there as soon as i could pack things up here and get on the road. I have 1 more day of hard work here to do, then laundry a good nights sleep and on the road i will be. But if I don’t I wish the winner good luck!!! Iam a 70 years old and i need repairs to my house.It is in bad shape. I would be very blessed and happy to win. I have been playing PCH since 2007, but according to their records I have just been entering since 2009. I guess the stamped mailed forms and orders did not count for the two years I spent sending money and entry forms to PCH. I have been entering online since 2007, and won 100.00 for something I wrote on a blog. That was a very exciting moment for me. I think we are all wishing to win to relieve managing bills and the everyday stresses of life that catch up with us. In reality though, I would be bored out of my mind if I didn’t have anything to work for, and life would become dull without challenge and struggle. I certainly could do without struggle of working two jobs to pay off the bills every month. Again, In all reality I enjoy working, but there is so much I would do with the money! I would pay off all of my bills and college debt. I could help take care of animals who cannot speak for themselves, and provide food to folks who cannot afford to feed their families/ help people fix their homes, and provide shelter and safety for those with no where to turn in a time of crisis. God helps those who help others and they know who they are. I want to be one of those who are truly blessed to help others financially one day! : ) I actually believe it just might happen within the next five years. If it doesn’t, then It just is not meant for me to help others in that sort of way. I will just continue using the talent I’ve been given to help those who need to change their appearances for the better to gain employment or just feel better about the way one feels. Well… I will continue to believe, and praying for miracles, and so should all of you out there reading this post. Well…. Good luck, and GOD bless! would love to win to help my church and family. Hello PCH, I would love to win, Good luck to everyone and God bless. I never wanted something so bad, I really want to win PCH. Lord please bless to win. I would be grateful if you enter me into the pch win $7,000.00 every week for life on november 26th, i have try so many times but i dont see any good news, please help me to win this opportunity enable me take good care of my 6 boys 11 to 15 years old boys i love them too much. help me because i know you have the tool to win. thank you and god blessed you all. I never win nothing I know what wrong, but every days I play all the games and respond to all the questions. I have been the Giveaways: 1400,1300 3080 2231 2267 3167 1830 My questions how many years I will be waiting to win? I Believe the PCH visited the winner to house different States and Cities!! I wonderful but let making Happy to win, please knock my door I be here in California. |God Bless You . Oh please let me be the lucky one. But good luck everyone – How to win prizes with Publishers Clearing House. I want to win publishers clearing house superprize 1830, Novemberber 26th so i can travel to Tennessee. And vacation at my moms with my wife. We all would like to know have you picked an Aug.29th winner. Thank you for the opportunity for the game lotto .